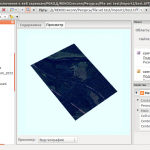 NextGIS has finished implementing NextGIS Web/Manager/QGIS based Geodata storage. This development is done together with Rekod Corp. in interest of Russian Federal Space Agency. specific calls for external software are grouped in a special panel using new Shortcut Manager plugin that allows to organize external application calls from NextGIS QGIS. 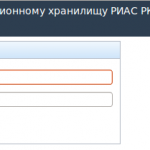 Работы выполнены для ОАО “НПК “РЕКОД” в интересах Федерального космического агентства (Роскосмос).